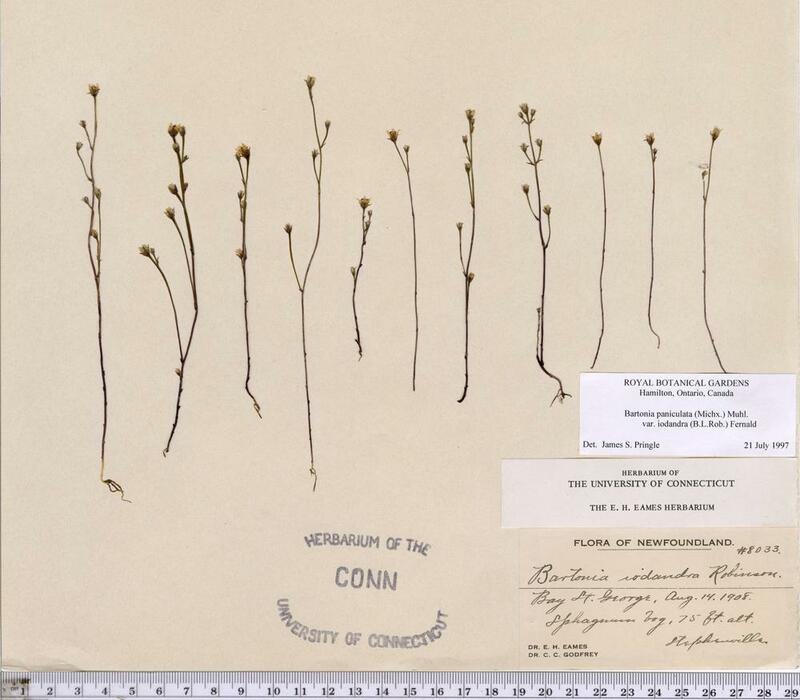 Purple screwstem is a rare northeastern endemic found only in New England and eastern Canada. 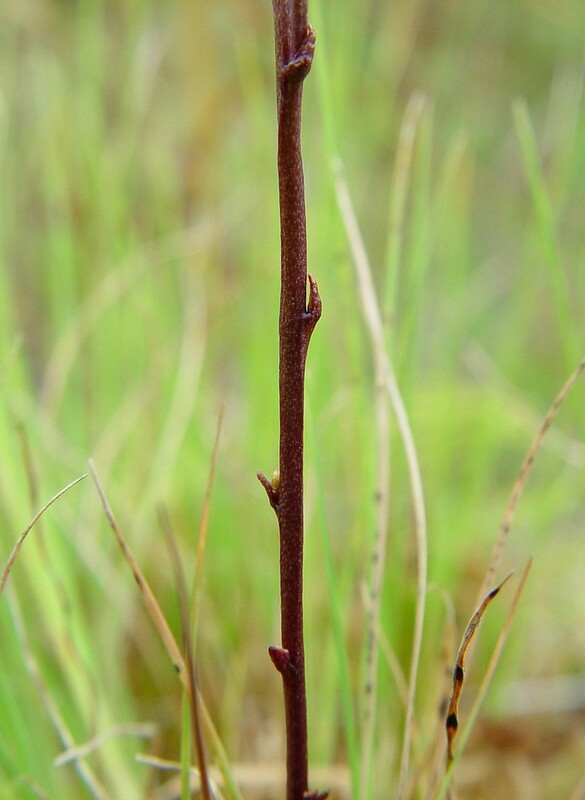 It inhabits swamps, peatlands, meadows and abandoned borrow pits. 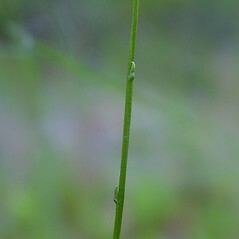 It is very similar in appearance to the much more common twining screwstem (Bartonia paniculata). petals lanceolate and acute at the apex, anthers usually yellow and mostly 0.3-0.5 mm long, and stems often slender, lax, and green (vs. B. iodandra, with petals oblong-lanceolate and acute at the apex or infrequently with an obscure apiculus, anthers usually purple and mostly 0.5-0.6 mm long, and stems stouter, strict, usually purple or purple tinged). leaves opposite and stigmas mostly 1.5-2.3 mm long (vs. B. iodandra, with leaves alternate and stigmas 0.8-1.5 mm long). 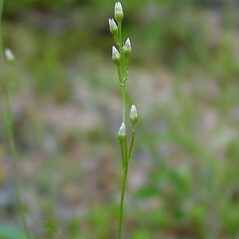 Bartonia paniculata (Michx.) Muhl. var. intermedia Fern. 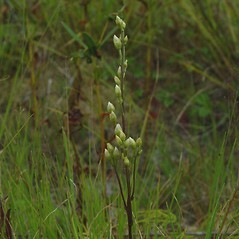 Bartonia paniculata (Michx.) Muhl. var. iodandra (B.L. Robins.) Fern. 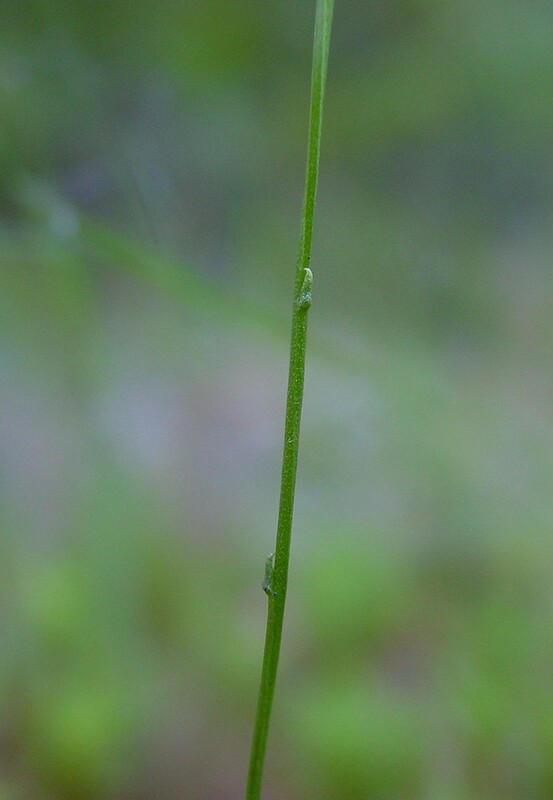 Bartonia paniculata (Michx.) Muhl. var. sabulonensis (Fern.) Fern. purple screwstem. 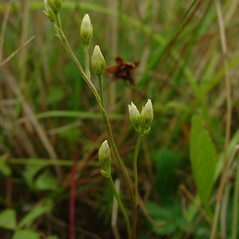 Bartonia paniculata (Michx.) Muhl. var. intermedia Fern. ; B. paniculata (Michx.) Muhl. ssp. iodandra (B.L. Robins.) J. Gillett; B. paniculata (Michx.) Muhl. var. iodandra (B.L. Robins.) Fern. ; B. paniculata (Michx.) Muhl. var. sabulonensis (Fern.) Fern. 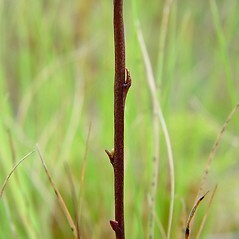 ; B. virginica (L.) B.S.P. var. sabulonensis (Fern.) Boivin • MA, ME, NH, RI. Swamps, peatlands, abandoned borrow pits, meadows. 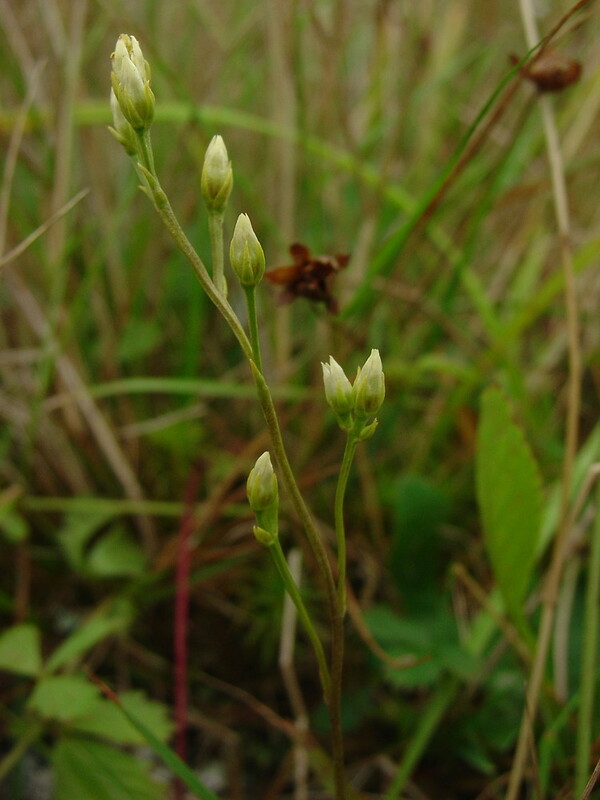 Bartonia iodandra has been treated as a subspecies or variety of B. paniculata by most authors, likely due to similarities in leaf arrangement and stigma length. 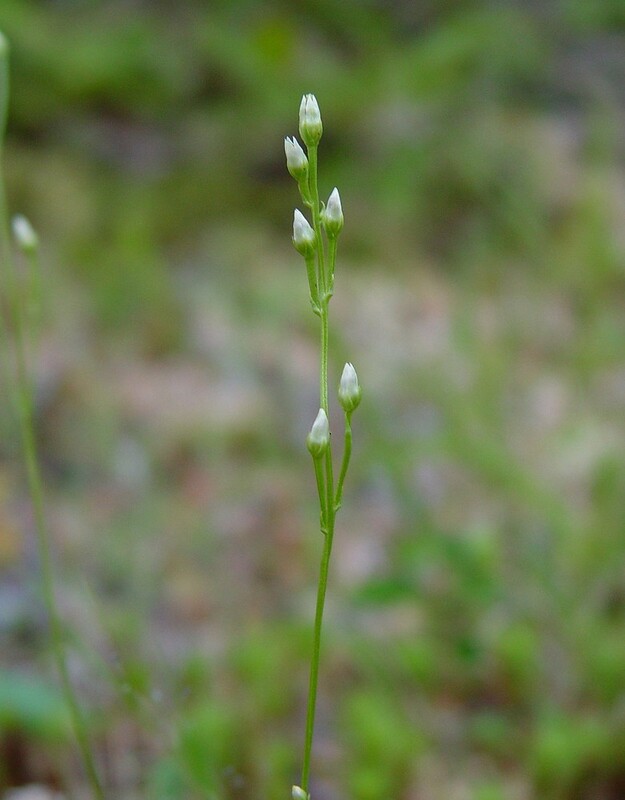 However, it possesses many character states that are transitional to B. virginica, including stem stature and coloration, petal shape and apex, anther apex, stamen color, and seed size. 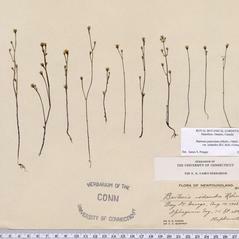 Gillett (1959) noted its probable hybrid origin. As such, it is inappropriate to ally it with one of its putative parents. 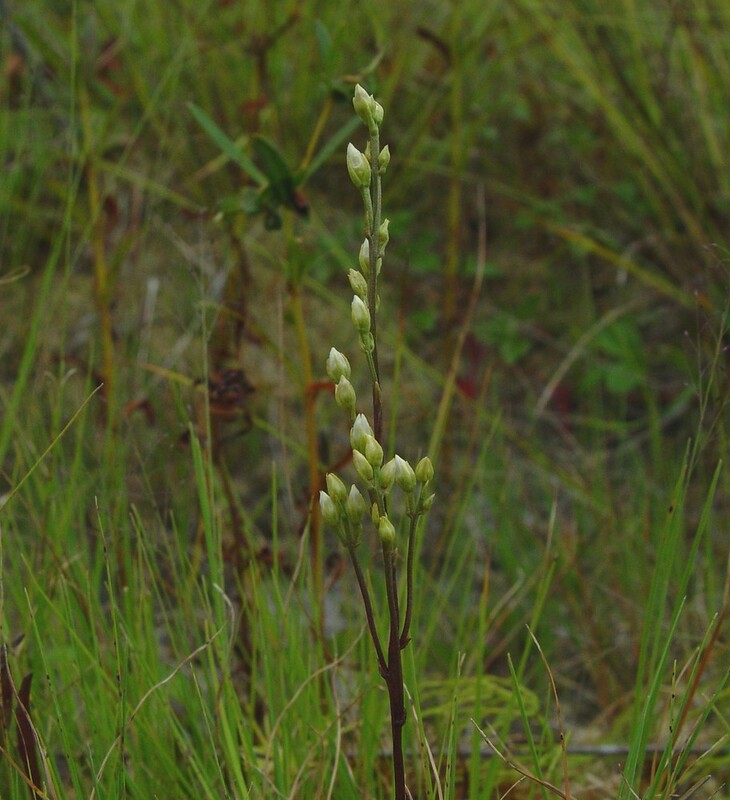 Its occurrence in Newfoundland (beyond the range of its parents) and production of well-formed seeds support its recognition as a hybrid-derived species (rather than as an F₁ hybrid).